In a typical personal injury case, there are a variety of “damages” that you may have incurred as a result of the accident. If you received injuries from the accident, then it is very important get copies of medical information, and the amount of money you or your insurance company have paid out as a result of your injuries. When you first meet with a personal injury attorney, one of the first things they will want to know is the extent of your injuries, and whether those injuries will affect your ability to work/live in the future. It is helpful to bring copies of medical statements and information so that the attorney will be able to get an idea of the scope of your injuries, but at the initial consultation it is not 100% necessary. But if I were you, I would. Once you have signed a representation agreement with an attorney, they will request that you immediately get them all of your current medical billing and information from the accident. They may request your office visit notes from each visit. They will also request what are called “Explanations of Benefits” or “EOBs” from your health insurance provider. EOBs are an explanation of the amount of benefits you have used during the current year/month, etc.. It is a helpful tool to determine how much your injuries have cost your insurance company. The attorney will also want to know exactly how much you have paid out of pocket. Providing receipts for things that you have paid for, and even providing a mileage accounting for travel to rehab and doctor’s visits as a part of your ongoing recovery will be requested. 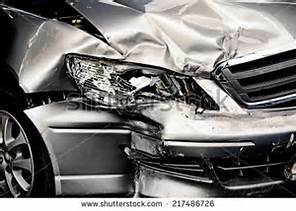 This is all done for the purpose of finding out what your actual damages are as a result of the accident. Many people assume that simply because they have hired an attorney the work is done. That is not the case. We will need updated information from the doctor office after each visit. Some attorney’s will contact the doctor for you and obtain that information themselves. Others will have you provide them information after each visit. There are benefits to both approaches. If the attorney requests the information directly, it usually takes a bit longer (sometimes quite a bit longer) to get the doctor’s office to comply with the records request. If you get the information at your visit and then provide it to the attorney, the information is received in a much quicker time frame, but it also puts a little bit more of the onus on you as the client to get the information to the attorney. Once the attorney feels that they have enough of your full amount of all types of damages, then they will likely send a demand to the opposing party and/or the opposing party’s insurance company. The amount of time it takes the attorney to get the information they feel they need to make the demand is largely based on how quickly the medical damages can be determined with reasonable certainty. This is usually the area that causes the biggest delays in getting a case settled or set for trial. So the name of the game is making sure that everyone involved has the necessary information to move forward with the case. This means that it is not just the fact that you have been injured. It is about substantiating your claims for personal injury. How that is done is by getting all of your medical information and billing to your attorney, or providing them with the necessary releases that will allow them to make those requests and receive that information in a timely manner. If you have been injured in an accident and don’t know where to turn, call Guest and Gray Law Firm. We are a full service law firm that cares about our clients and will fight for your rights to get you the compensation that you deserve. Call today and we will set you up for a full consultation with a licensed attorney. Don’t wait. Call now!